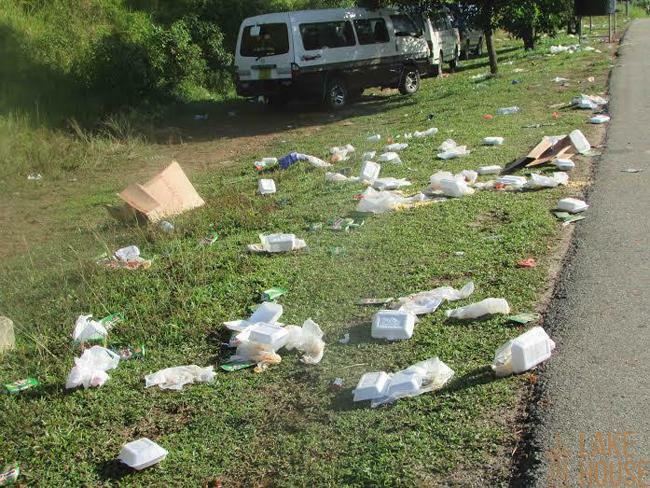 Garbage was reported thrown on either side of the Southern Expressway near Pinnaduwa by those who participated in the rally held in Galle on May Day. Plastic bottles, food packets, boxes and other waste material were seen strewn all over the place. A similar situation was reported from Campbell Park, Kirulapone and many of the other places May Day rallies were held. However, it was reported that the Janatha Vimukthi Peramuna (JVP) cleaned the entire BRC grounds immediately after their May Day campaign ended late May 1 night. This shows couple of things.